Link added: Mike Stout's account of the Jupitour. This takes you to an Acrobat PDF file. We are all back after the Jupitour!! 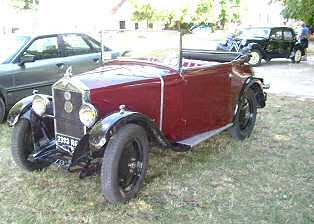 Everyone completed the tour OK, Rouen to Rouen, with mishaps that could be fixed OK. Alas at the very end, from our final stop at Rouen, two Jupiters found it necessary to to contact Footman James for assistance home, the RAC (who had promised so much) were found wanting. 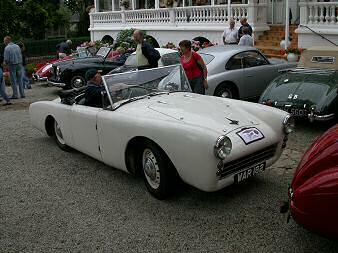 There were 19 Jupiters all told, of which four were special bodies examples - look out for the two drophead and two fixed head coupés in the pictures below. 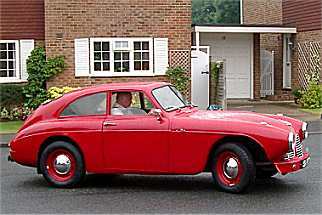 See also Tony Curtis's blue Sunbeam Tiger - his Jupiter wasn't ready in time. 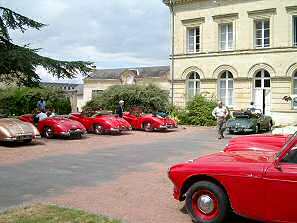 We began by driving to that most excellent hotel "La Bertelière" at St Martin du Vivier on the outskirts of Rouen where we were joined by Goran Norlander and Bo Boessen (so nearly the winners of the 1952 Monte with their privately entered Javelin) and their wives. 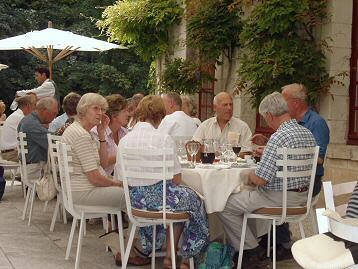 Advantageous group rates - sometimes very advantageous - were negotiated at all the hotels (except the Mercure at Blois), and at the restaurants where organised group meals took place. 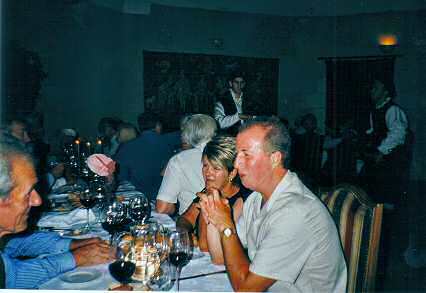 There were in fact six group meals arranged, all designed to have significantly different menus from each other; two were part of a half-board deal. 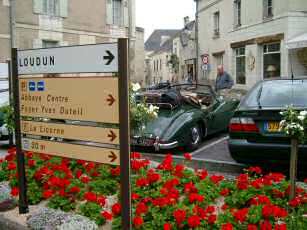 The 106-room Blois Mercure Centre was a special case as it is the only town-centre hotel in Blois with secure off-street parking in Blois, so we just had to have it - they reserved for us their 50-place off-street parking, just what we needed. The greatest driving distance was 200 miles, on one day only, and four days needed no driving at all. 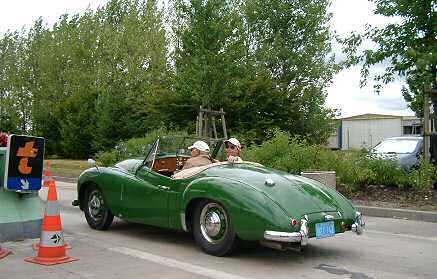 The emphasis was on general-interest touring activities with three or four optional car-type museums. 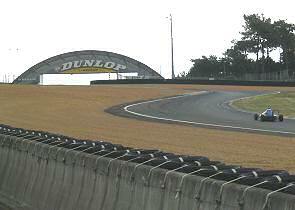 Some classic car tours are just flat-out driving or visits to car museums, circuits, motor races etc. whereas we went for a more rounded type of tourism. Day 1 - Thursday July 17th. 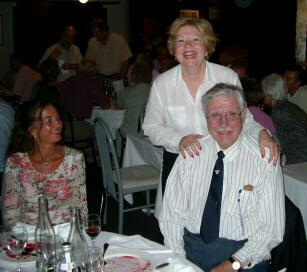 Our first night stop, where we all gathered from the channel ports or elsewhere, was at a three-star hotel on the north-east edge of Rouen for the get-together and a jolly good meal. We also met Goran Norlander, Bo Boessen, and their wives - Goran and Bo had extensively rallied Javelins in the early 1950s. 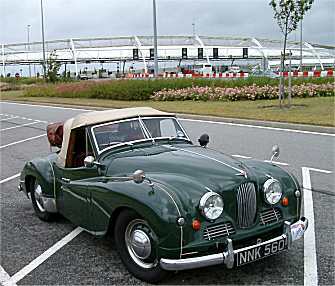 The Nankivells set off in the rain for the Channel Tunnel crossing. On the way to Rouen. 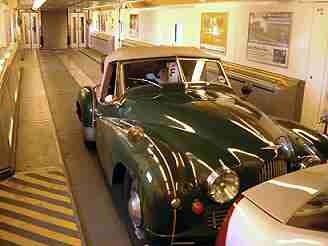 The Nankivells in Le Shuttle and (right) at a motorway péage near Abbeville. Jupiters arriving at our first stop, La Bertelière. 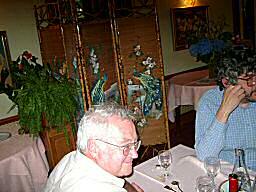 Pat Lockyer (blue shirt) and his silver Farina Jupiter. 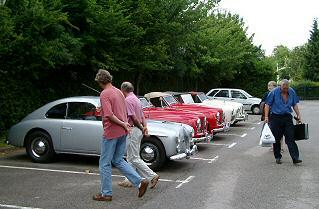 On the right, with admirers, our guest of honour Goran Norlander, who was so very nearly the outright winner of the 1952 Monte in his own Jowett Javelin. 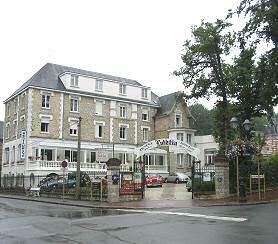 Many of us arrived at La Berteliére in a shower of rain. Later in the afternoon we saw a lucky rainbow (complete from horizon to horizon) over St Martin du Vivier and indeed it brought us luck as for the next 8 days we had blue skies and uninterrupted sunshine. 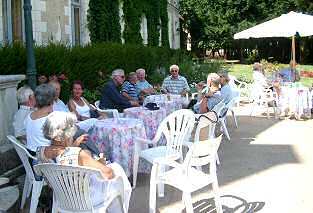 In the evening we enjoyed an aperitif and a snack in the gardens of La Bertelière before the evening meal, which was followed by jollifications in the piano bar as we all began to get to know each other. Already Mike Chevers had helped Jack Jacobs whose Jupiter had a misfiring problem (fully cured by Mike) and John Blazé was helping John Rutter whose car had a water pump problem. 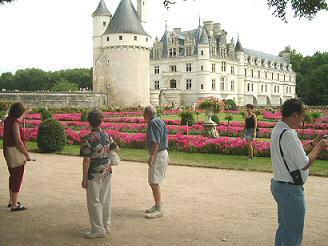 Day 2 - Friday July 18th: We headed south to Amboise, our first Loire Valley stop. No rain any more and temperatures predicted to rise to hot! Many took to the A13 motorway, then an interesting quiet road via Rambouillet (passing chateaux, unspoiled villages, forest and even driving on a short stretch of pavé!) to the A10. Amboise is some 203 miles (325km) away - this was easily the longest drive of the entire tour. 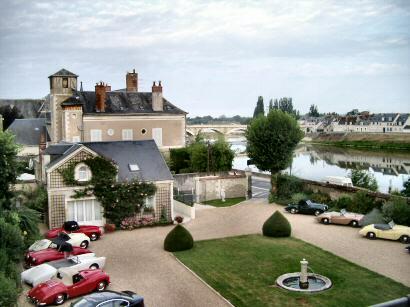 At Amboise we had reserved rooms in two hotels: ten rooms in a splendid 4-star (Hôtel le Manoir les Minimes), and thirteen rooms in a 3-star (Hôtel la Belle Vue). On arrival at Amboise, after settling in, we headed for a local restaurant l'Amboiserie for our group evening meal - the group dined here in our own upstairs section, together with Jupiter owners Peter and Christina Tribble who were camping in the area, and for whom today was the last day of their holiday. Left and right: lunch stop on the run down to Amboise. David Kennedy looking at the camera, Ghislaine Nankivell takes a drink Right: Newly on-the-road Richard Mead Jupiter of John Powter: it passed its MOT on the day before the off! 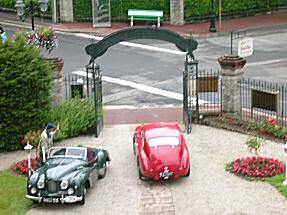 Left: Jupiters in the grounds of Hotel le Manoir les Minimes; the Harold Radford Jupiter can be made out. 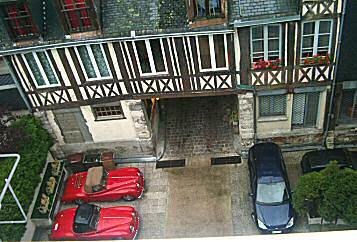 Above: some Jupiters were parked in the Ecole Rabelais courtesy the mayor of Amboise. We visited the Amboise château in the morning. In the afternoon, thanks to the heat, we kept to the shady side of the road as we trooped up to the Le Clos Lucé, the last home of Leonardo da Vinci. For this summer there was a special display in the gardens of the Le Clos Lucé. The snacks available in the creperie were appreciated by many. 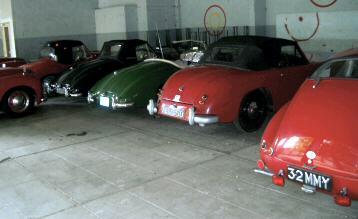 We enjoyed the restaurant facilities and found a totally bizarre garage in Amboise! 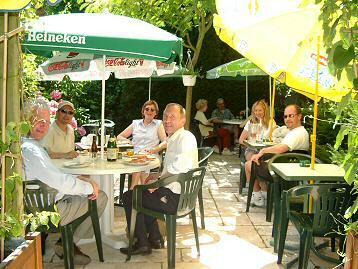 One of several pleasant restaurants in Amboise with shelter from the heat. 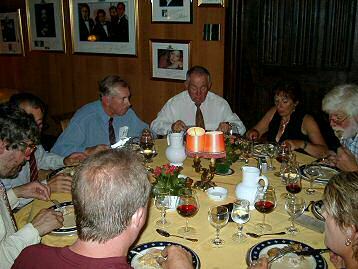 L to R: Peter Welch, Howard Chambers, Ghislaine Nankivell, Dennis Sparrow, Lynne Chambers, Andrew Chambers. 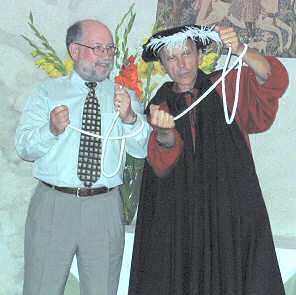 Right: a folk band playing renaissance instruments and music. In Amboise, the Garage Martin houses (above) some old and new cars and (right) some strange sculptures made from car parts: Asterix and and Napoleon amongst other carefully crafted examples of naive art. 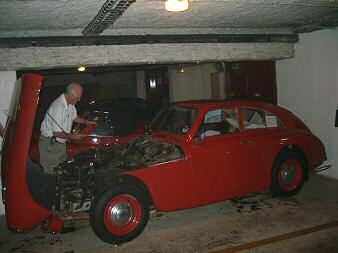 The Rutter Jupiter was found to have destroyed a water pump seal, with water spouting everywhere. A spare pump was with us and fitted by John Blazé, but the fan itself wouldn't fit on the shaft. At Amboise an electric fan (surplus to requirements on Pat Lockyer's Farina) was installed, and this meant - in spite of the heat - adequate cooling was provided and the said Jupiter continued on the tour. Another Jupiter destroyed its distributor innards, and it was jury-rigged until a replacement (also carried) could be fitted. 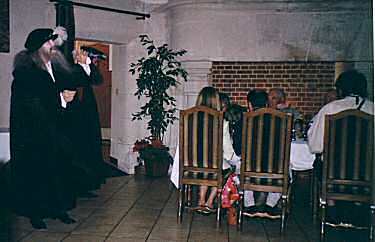 Son et Lumière at the château in the evening surprised and entertained everyone in the group. Afterwards some of us looked for a drink to find that after 11pm we had to have a snack with anything alcoholic - not a problem in Amboise because the 'snacks' were absolutely gorgeous one-mouthful treats. Nimrod Taylor demonstrated how to eat a sticky gooey, chocolaty creamy thing without getting much on his fingers and getting nothing on his clothes! Above: Son et Lumière at Amboise. 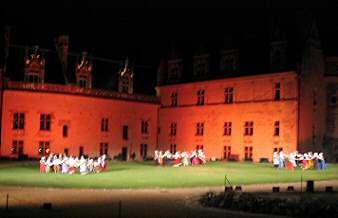 The Son et Lumière show included actors portraying the boy king who died at the age of 28 after hitting his head on a beam, and of course Leonardo, and King François I who brought the great artist/inventor to Amboise purely so that he could have interesting and intelligent conversations. 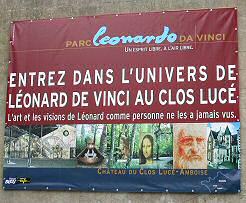 Leonardo brought the unfinished Mona Lisa with him, which partly explains why it ended up in the Louvre. Again, no need to drive our Jupiters. Day trip by air-conditioned coach. We were collected after breakfast. After a 30 minute ride we visited an eco-museum at Vouvray (Montcontour) connected with wine production over the centuries, with the emphasis on local methods, and then some some wine-tasting. Many boxes of wine were seen being loaded onto the coach! 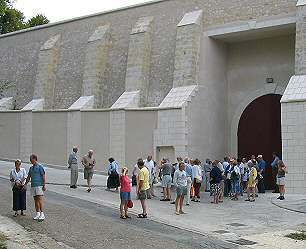 Below left: the group outside the vineyard vault at Montcontour. 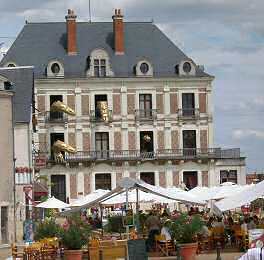 Below right: our three-star hotel at Amboise. 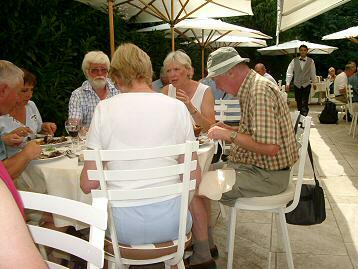 The coach then took us to Chenonceaux where initially we had lunch at the Chenonceaux Château-Restaurant outside under parasols. 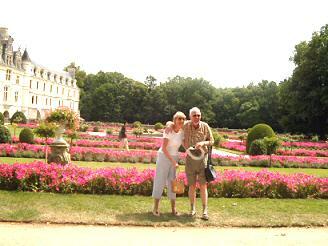 We then visited that most beautiful and elaborate of châteaux, Chenonceaux itself, followed by a river cruise with light tea. 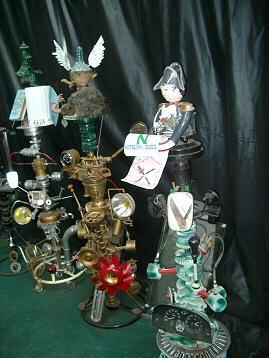 Left, centre, Iris and derk Chambers. Right, Anne and Tim Wise. 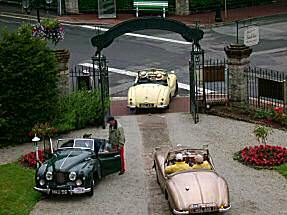 Day 5 - Monday July 21st: Departure from our Amboise hotels for the town of Blois and the Hotel Mercure. There were two possible routes. 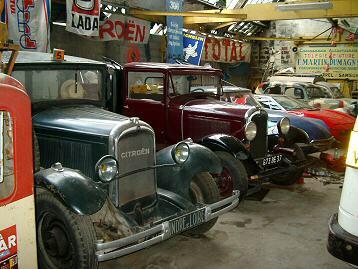 Some drove more or less directly along the south bank of the Loire to Blois, an old fortified citadel town on the banks of la Loire, whilst others drove via Valençay where there is an excellent little car museum of about 60 cars of all periods as well as posters to do with motoring. 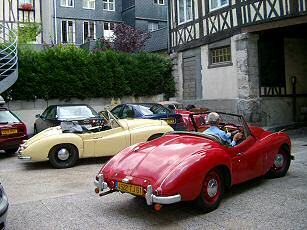 A special show of Citroën cars (start to 1957) was put on for this summer. 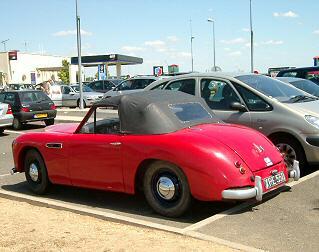 Most then drove on to Romorantin-Lanthenay to the Matra Museum. 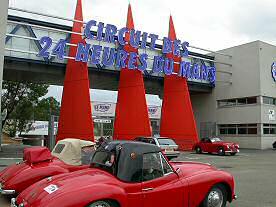 This museum celebrates the 124 victories over 10 years of the marque including the constructors championship in 1969 with Jackie Stewart as the No 1 driver, and the hattrick of wins at Le Mans (1972-74). 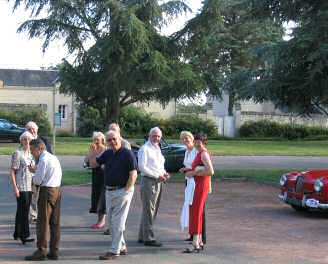 We all settled into the Hotel Mercure Blois Centre (air-conditioned rooms thank goodness, it was hot hot hot under the clear blue skies) with our cars safely stored in their underground car park. 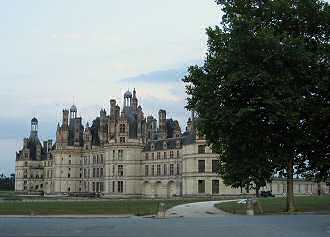 Above: Chambord in the evening light. It would be hard to imagine any more appropriate activity with the imaginative interplay of lights and shadows in such a setting. Day 6 - Tuesday July 22nd: First full day in Blois. We took it easy in the morning. 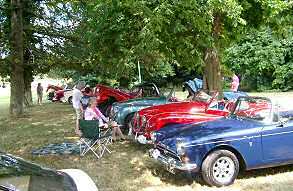 For the afternoon most went on a scenic drive to the Domaine de Seillac where we met and took tea with five local classic car owners who had arrived with their cars. 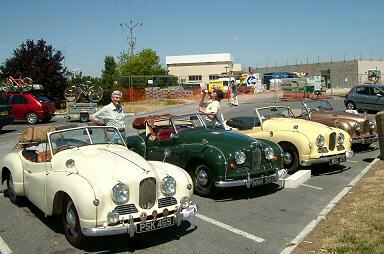 Above: Jupiters gather at Seillac during the scenic run. Blue car is the Sunbeam Tiger of Tony Curtis. 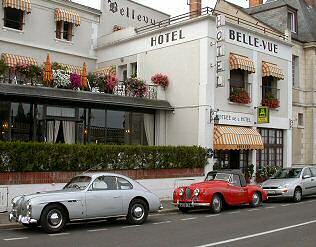 Above: drinks with the French classic car people. Below: an international game of Boules. 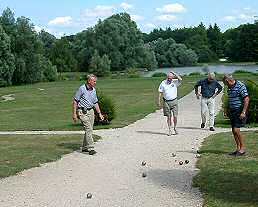 Above: An international game of boules at Seillac. 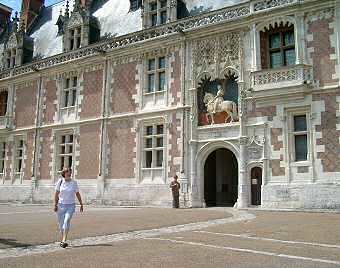 Above: The Chateau of Blois. 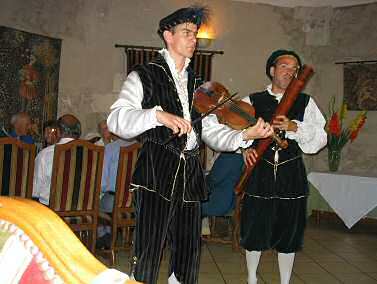 Below: the Renaissance dinner, attended by Leonardo da Vinci and his musical and magicianly friends. 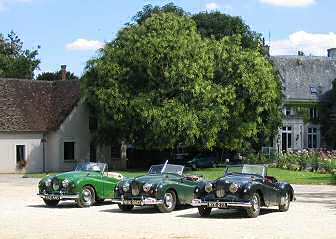 Above are three of the green Jupiters at Seillac. 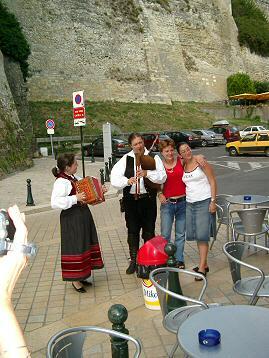 Day 7 - Wednesday July 23rd: Second full day in Blois. 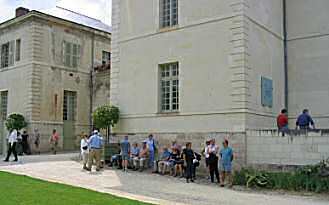 Visit of the château with an English guide. 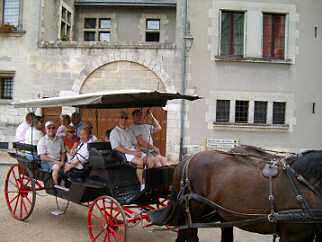 In the afternoon we were taken by horse-drawn carriage to tour the old town. In the evening there was the highly dramatic Son et Lumière in English. 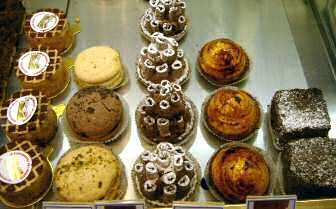 Top left, Blois château. Top right, Maison de la Magie and mechanical salamanders, opposite the château. Above left, attelage tour around old Blois. 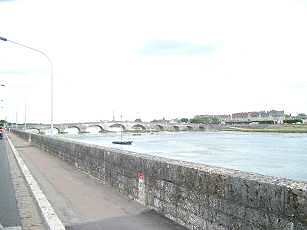 Above right, central bridge of Blois near our hotel. 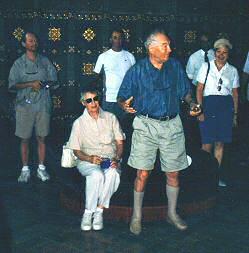 Below: Presentation to Derek and Iris Chambers for having the determination to bring their Jupiter from Florida. Below: Speech by Derek, surrounded by his family. 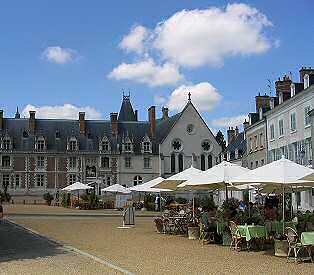 We were in the very oldest part of the Blois Château at the time. 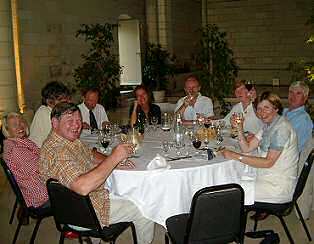 Day 8 - Thursday July 24th: we left Blois, and sadly said goodbye to the Chambers party of one Jup and five people. 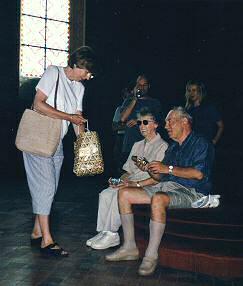 Above: Some of us stopped in Fontevraud for lunch. 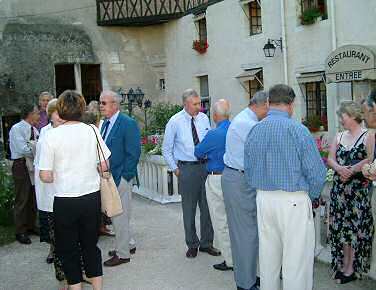 Left: Jupitourists are gathering at St Hilaire where we stayed the night in unusual accommodation. Now a golf/leisure complex, it was once a place of correction for errant boys. We stayed in the warders houses. 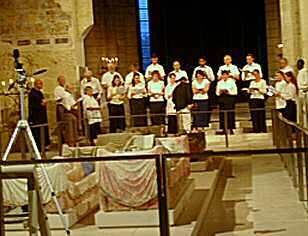 Above: we are on a tour of the former abbey of Fontevraud, now being restored as a cultural centre. For many many decades it was a prison! 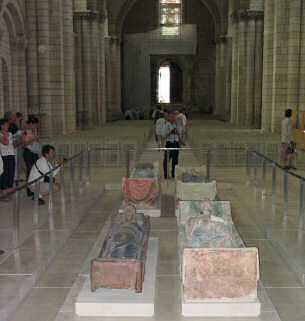 Below: the earthy remains of two English kings (Henry II and Richard the lion-heart) and two English queens. Above: here we are taking supper in the Romanesque chapel built by Henry II in part atonement for the murder of Thomas a'Beckett on the steps of Canterbury Cathedral back in the year 1170. On the left: Gregorian Plainsong. Above, Jupiters set off for St Hilaire about 3km away, after a full day. Day 9 - Friday July 25th: Today we headed north but initially west along the road to Saumur - on the left we saw numerous Troglodyte dwellings. 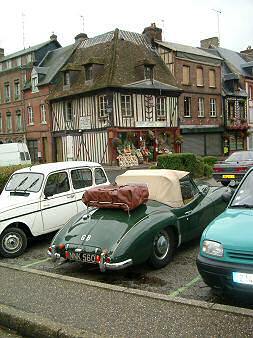 We endured our first rain (actually at least initially a persistent light drizzle) since our arrival at Rouen 8 days earlier, and for most of us it was still hood-down motoring. 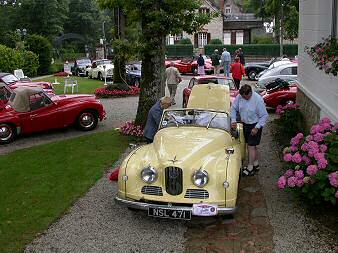 We headed initially for Le Mans with many stopping for lunch near Arnage. 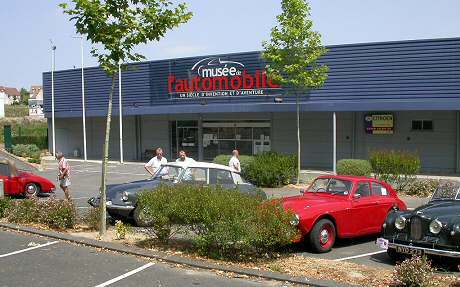 Some drove along the Mulsanne straight and visited the Musée de l'Auto (where the curator told us he was looking for a Jupiter for the museum). In the afternoon we passed around the north of Alençon where the early arrivals took the scenic detour and seemingly much appreciated it. 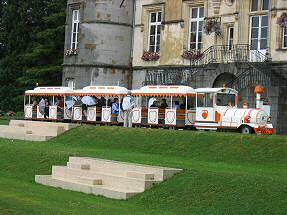 In the afternoon we gathered at the Hotel Lutétia in the scenic spa town of Bagnoles de l'Orne, where the Petit Train (just for us) took us on a tour of the town. Here the rain came down more heavily and gave us a good soaking, to the strains of "We're singing in the rain". The picture above left shows the roadway near our hotel glistening with rainwater and although the Petit Train looks dry, it wasn't dry all the way! 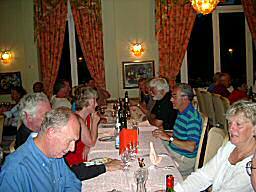 For the evening the hotel did us proud with an excellent meal by any standard. 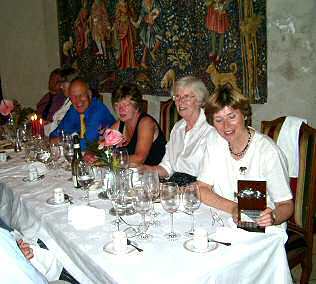 There was a small German group in the next room and it was discovered that for one of them, Bernt, it was his birthday. So (having established from Hilda Jacobs that it was internationally known) we sang "Happy Birthday to You". In an instant our German neighbours responded and sent round a waiter with Calvados for all - and some had two or three glasses so I was told - no names no pack drill. 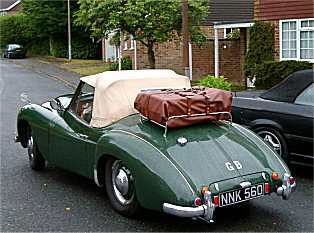 Above: Vic Boddy dropped in to see us - he had owned jupiters and a Javelin in the 1970s in the UK and might buy a Jupiter again - he lives in Northern France and currently drives (and brought along) a rather nice Healey 3000. He lives near the Jupitourists James and Moreen Dart. Bottom left: Ghislaine Nankivell ensures everything is OK.
Day 10 - Saturday July 26th: For the final day we set off from Bagnoles de l'Orne to drive about 130 to 140 scenic miles (215km) to return almost to our starting point. 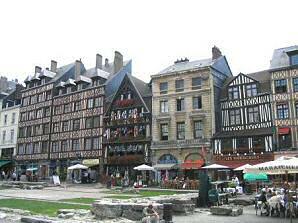 Our hotel for Saturday night is in the centre of Old Rouen. 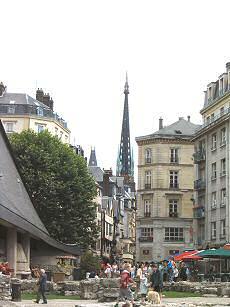 Top left and right: Under grey skies, Jupiters leave the Hotel Lutétia for Rouen. 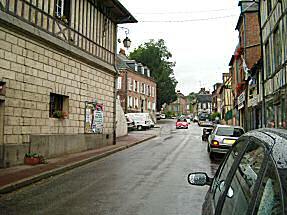 Bottom left and right: lunch stop in a typical Normandy village. Day 10 - cont We made for the Hotel Vieux Marché in the centre of old Rouen, with its underground car park and proximity to lots of interesting sights in the town. 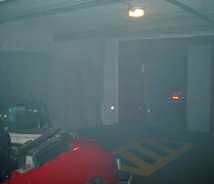 The underground car park was accessed by a car-lift, one car at a time. As we arrived we stacked our cars underneath, not made any easier by some other guests, not of our party, putting their moderns underneath too. Nevertheless most of us managed to park underground, whilst two or three, particularly the next-day's early departures, left their Jupiters in the courtyard. It was notable that all Jupiters arrived and in good time at Rouen, although one had a big-end-type noise from its engine. In the drizzle and intermittent rain most of us went on the guided tour of Rouen although we couldn't be shown the cathedral interior as there had been an arson attack a few days before and it was not open to visitors. 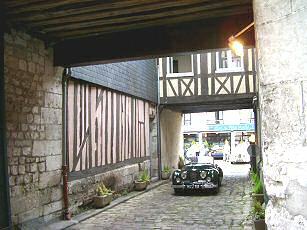 Below left: The underground car park at the hotel Vieux Marché. Below right: the hotel courtyard. 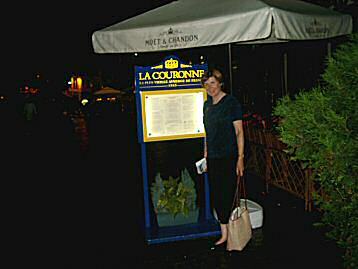 Above: The final get-together, with most excellent and enjoyable nosh, was in La Couronne, an excellent restaurant just around the corner from our hotel. 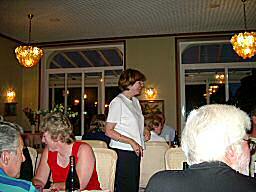 We had our own room so speeches and presentations etc did not intrude upon the enjoyment of other diners. There was some unexpected drama in store for us on the morrow morn! Day 11 - Sunday July 27th: This was to be the day we all set off for home. 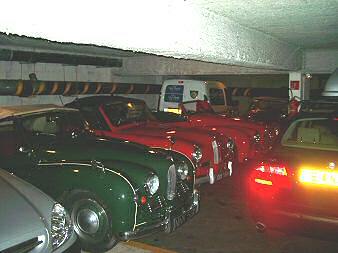 The two or three Jups parked in the fore-court did just that, and another two or three got out of the underground car park OK and also did just that, but soon disaster struck, with a (non Jowett) stuck in the lift half-way up! The lift people were contacted and their technician arrived and tried to operate the lift manually by over-riding the interlocks. Another two or three Jupiters escaped until another disaster struck and a transformer was short-circuited, filling the car park with smoke. The smell of vapourised varnish is familiar to all electronic engineers! Left: Howard and Jacqui Bryan escape. Above: Others are not so lucky! Ghislaine made a phone call and discovered that the remaining Hoverspeed ferries on the day were fully booked (the day being Sunday), so the remaining Dieppe-Newhaven Jupitourists were condemned to spending an extra day in Dieppe (sigh!!). This worked out well for them as the weather turned fine and they could explore or re-explore Rouen at their leisure and comfort. The technicians, having replaced the burnt-out transformer and having realised that two people were better than one at operating the lift in manual mode, managed to extricate all those Jupiters who could still return on the day. Above: technicians replace burnt-out transformer. 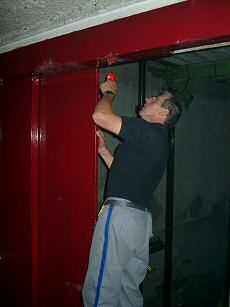 Right: fixing a duff door interlock. Above: Tim Wise prepares the Adams & Robinson saloon Jupiter for the return home. The lift technicians promised to return on Monday morning at 9am and extricate the rest of the Jupiters and, true to their word, did exactly that. Above: James Dart prepares to leave for home. 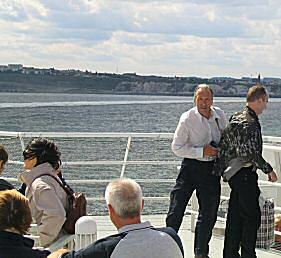 Right: Dennis Sparrow on the Newhaven ferry. 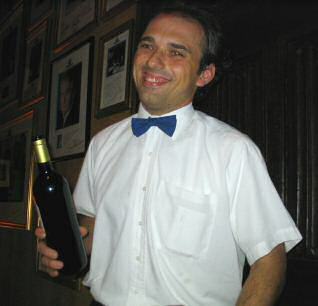 Above: One of the several waiters who served us so well with excellent food and excellent wine on the tour. Thanks for all those who have supplied images for the above. So ended the unforgettable Jupitour to the Loire Valley!!! 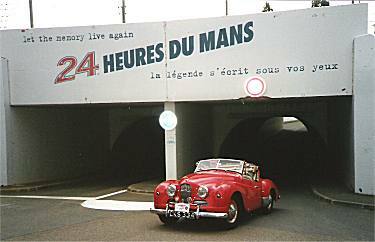 The Le Mans Jupitour 2000 page.